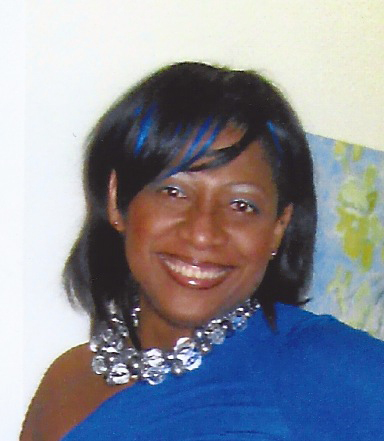 JACQUELINE BISHOP, writer and visual artist, born in Kingston, Jamaica, and who now lives and works in New York City. She has held several Fulbright Fellowships, and exhibited her work widely in North America, Europe and North Africa. She is also an Associate Professor in the School of Liberal Studies at New York University. My work integrates the mediums of painting, drawing and photography to explore issues of home, ancestry, family, connectivity and belonging. As someone who has lived longer outside of my birthplace of Jamaica, than I have lived on the island, I am acutely aware of what it means to be simultaneously an insider and an outsider. This ability to see the world from multiple psychological and territorial spaces has led to the development of a particular lens that allows me to view a given environment from a distance. Because I am also a fiction writer and poet as well as a visual artist, the text and narrative are significant parts of my artistic practice. Oftentimes I utilize a process of competing narratives to have the viewer participate in the creation of meaning. In my “Folly” series I recount a story I heard as a child, of two tales of a “haunted” house. In time, I researched the history of the house and through a process of photomontage combined photographs I took with archival footage to try and tell the two stories. The ghostly images of the past occupants are integrated into the walls and on the grounds of the present-day ruins. The overall effect is spectral and haunting. I also used this process of photomontage in an ongoing series of ethereal and transcendent “Childhood Memories,” in which characters are often split between heaven and earth. There is a palpable sense of loss in these images as characters seek to inhabit a time and a place long gone. The “Babylon” and “Zion” paintings are about the Rastafarian ideas of Babylon being a place of captivity and oppression while Zion symbolizes a utopian place of unity and peace. In the Babylon series, I write the lyrics from songs and poems to create text-based drip paintings leading up to the “Hanging Gardens of Babylon,” in which I use popular dancehall posters to evoke the inner-city Babylonian “walls” of Kingston. The Zion series is comprised largely of monochrome paintings to delineate this symbolic paradise. Glitter is present in these works not only as a representation of the paradise that Rastafarians seek in the Biblical homeland of Zion but also as a commentary on the ‘bling and glitter’ culture that has enveloped much of Jamaican society. Consequently, my work is very much engaged with helping me to understand my heritage.